Speaking of guts, I’d like to ask you something, Ibuki-san. The tea table got overturned three or four times for the Wii U GamePad design, didn’t it? 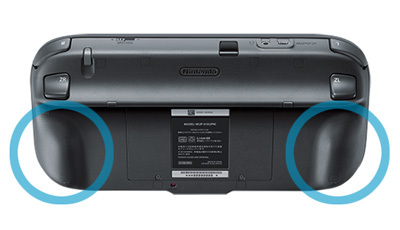 What were once circle pads were changed to analogue sticks that can be pushed down to work as additional buttons, and the design of the Wii U GamePad was flat but then gained grips. You had to make a number of big design changes for operability during a short time, which must have been quite hard. Tell me about those memorable moments. Okay! (laughs) The first Wii U GamePad was the one we used to announce it at last year’s E3. At that time, the design group was of a mind to make a pad-like device. The main concept was a device that would be worthy of sitting in your living room. The surface was extremely uncluttered. Yes. But after last year’s E3, we heard it was difficult to use. We played the NES version of the Mario Bros. game on the Wii U GamePad and realised we couldn’t do it very well. I remember that with the design of the GamePad at the time, a number of people said it was tiring and difficult to play. Yes. That’s no good for a controller, and just when we thought we wanted to do something about it, we heard of a desire from within the company to change the specs regarding improvement of the controls and took it up. As those who had made it, you just couldn’t let it go. Yeah. We would have regretted releasing it like that. So we started from the beginning to see whether a flat, pad-like design, or a shape of a traditional controller that players could firmly grab that emphasised on controllability was the right way to go. We held a lot of meetings within the team over what the Wii U GamePad should be like. A lot of opinions came up. 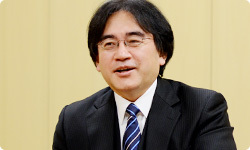 Both Miyamoto-san and myself wanted the change to happen. It was a decision made even as Takeda-san said, “We usually wouldn’t do such a thing at this point, you know!” It’s true, however, that if you held the earlier incarnation of the Wii U GamePad for very long, there were times where your fingers could get tired. That really changed, though. Yes. There was still a long way to go, and we were thinking, “We’ve got to make a controller!” but at the same time, a conflict arose with the opinion that a pad-like design that would be appropriate in the living room was best. It was hard to maintain the balance. It took time to reach a balance between a controller’s ease of use and a design that would be appropriate in the living room. Yes. The grips we affixed to the improved version actually weren’t finalised until the very end. At first, we looked at a more flat, square-shaped pad, then to a version with gradual grips and considered various options. We took an in-house survey as to which was easier to use, but the votes were divided and we couldn’t decide which was better. How did you finally decide on the final form of the grips? We looked at multiple factors. It needed to be a design that you wouldn’t easily get tired using, and we looked into what was the best design that would be the most comfortable for both big and small hands. Ultimately, the design that everyone in the design group agreed was the easiest to use, was the final form with the grips. You tested a collection until it reached its current form. To be honest, we didn’t know how tacking grips on the back of a square pad-like device would make it any easier to hold. So we made a collection of designs, I carved them by hand, adjusted them with clay, did that day after day for a long time, went to have it checked by those involved, and got told it was difficult to hold! No matter how tenacious you are, it may break your heart. I thought, “Come on, this is pretty good isn’t it?” But they flat-out said it wasn’t, so we repeated that process. I think that was the hardest time for me. Where else did you expend a lot of energy? Making it lighter was also important. The Engineering group took the lead in making it lighter. 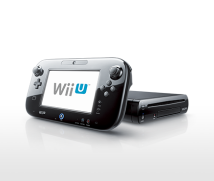 ith the Wii U GamePad we put in a lot of effort in reducing its weight. There is a part called a chassis to protect the screen, and at first we were planning on using materials like aluminium and magnesium. But ultimately we decided against those and used what’s called a resin chassis to further reduce its weight. In that way, we chipped away one or two grammes here and there. We made it as light as possible without causing durability problems. There may be some that would think 500 grammes is heavy for a controller, but pecking away at it like that created something much lighter than at first. Five grammes is about how much a 100-yen coin weighs! (laughs) We wanted the Wii U GamePad to weigh about 500 grammes, so when we were approaching 500 and more grammes, all suggestions that may put more weight on it were refused. Whenever we make a controller or handheld gaming device, we test a lot with regard to weight. But even so, it looks like this time sets records. 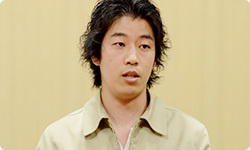 For two years, the senior staff members consoled the newer staff members and somehow you made it through. Did everyone here give kind words to your newer teammates?